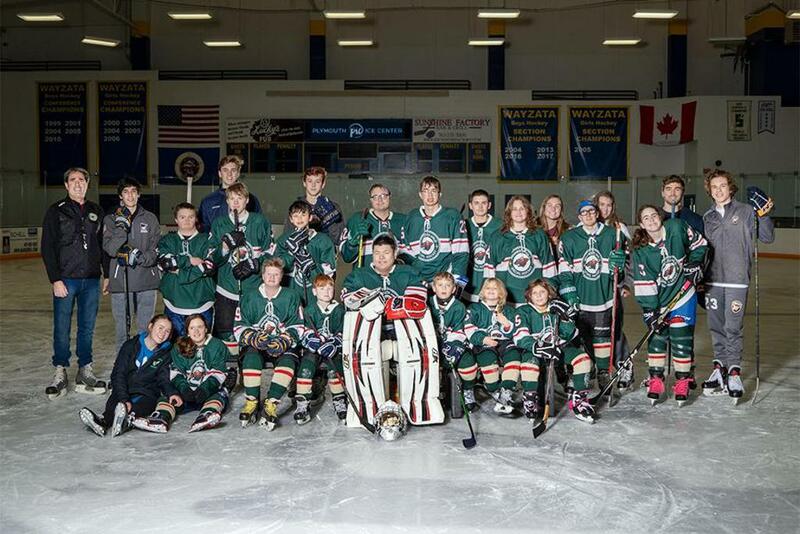 Our Plymouth team was started for the 2014-2015 season and we're now in our fifth season. We have ice at both Plymouth Ice Center and Minnetonka Ice Arena B. Please check our calendar closely for the location of our events. We are so grateful to both Wayzata Youth Hockey Association and Minnetonka Youth Hockey/District 6 for their generous donations of ice time to our team each year. We also have a wonderful partnership with the Wayzata Boys Varsity and JV teams. Here's to a great season ahead - Let's play hockey! Our recent mini-jamboree was lots of fun! 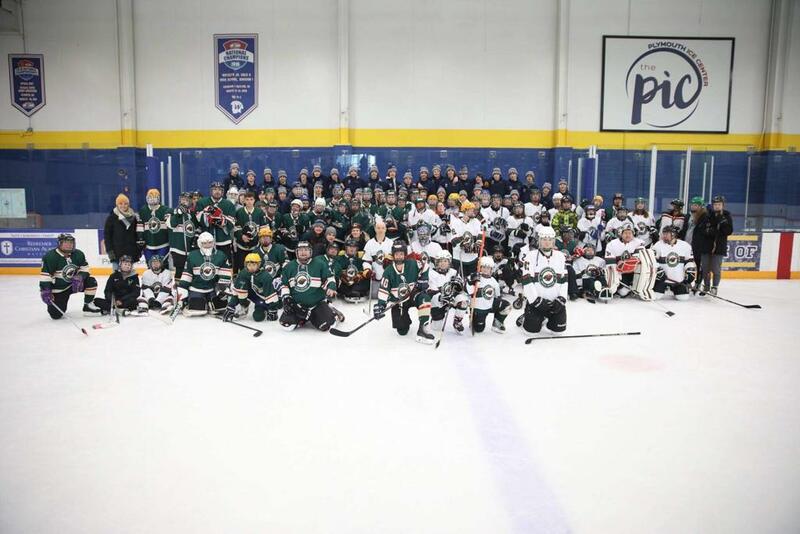 Five of our MN Special Hockey teams played two games. The Wayzata Boys Varsity and JV teams joined in to cheer us on, play music and announce plays. We love our partnership with these guys! Our home ice time will be split this season between Plymouth Ice Center, 3650 Plymouth Boulevard, Plymouth, MN 55446 and Minnetonka Ice Arena B (the one at the bottom of the hill where we had a couple of practices last year - parking just outside), 3401 Williston Road, Minnetonka, MN 55345. Please check the calendar closely to see where we will be each Sunday! If you have any questions on location, please ask Kevin or Jennifer.